With the planned closure of various segments of Wilshire Boulevard over the next 22 weeks, construction is heating up this summer on Los Angeles’s long-stunted Purple Line, the city’s fabled “subway to the sea” extension connecting Downtown Los Angeles with the Pacific Ocean. 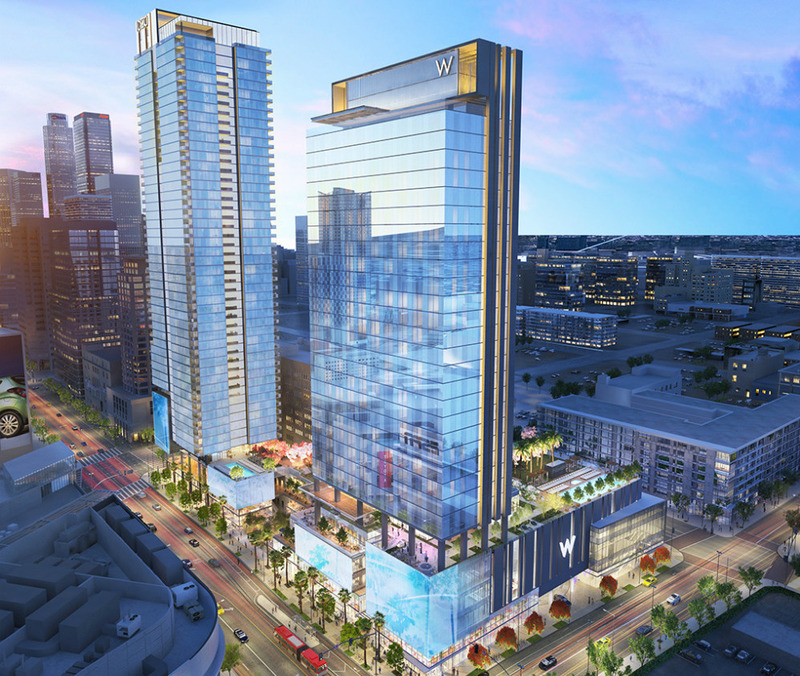 As the prospect of a new high-capacity transit line becomes more of a reality, developers are taking note and a new crop of proposed mixed-use housing towers are popping up along the Wilshire Boulevard corridor. 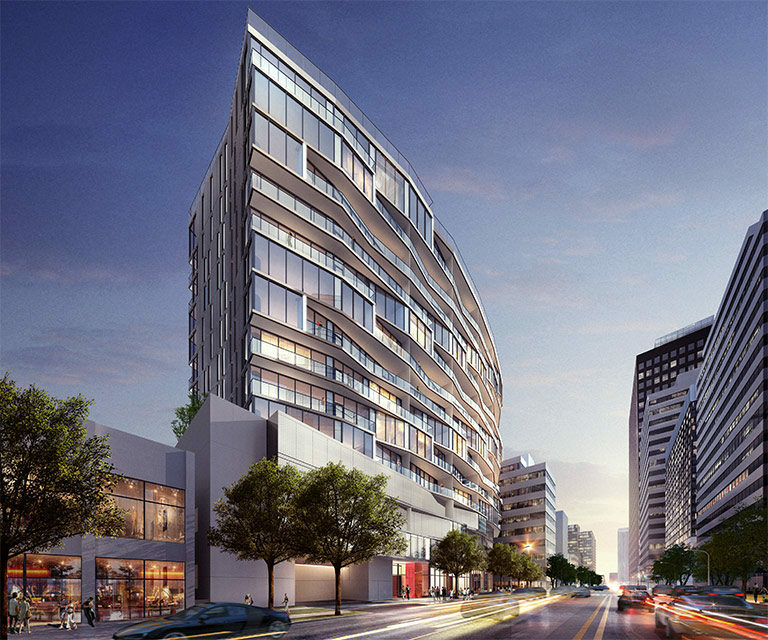 Latest among those projects is a 15-story residential luxury tower designed by Steinberg Architects called NMS La Jolla. The Type-I residential tower will contain 90-luxury units, 5,100 square feet of retail space, and four levels of above-grade parking. The project is notable for its convex, jagged facade, which staggers back and forth across both major exposures. This provides shade-giving overhangs along its southern face while creating nooks for projecting and recessed balconies along the mountain-facing, northern facade. 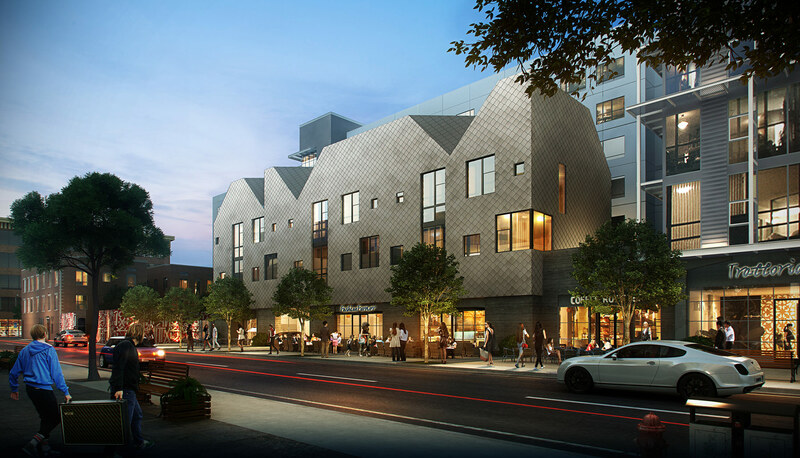 The project’s facade was instrumental in winning over judges at this year’s PCBC builders’ conference, who bestowed the project with the PCBC Grand Award for Best On-the-Boards Mixed-Use Project. 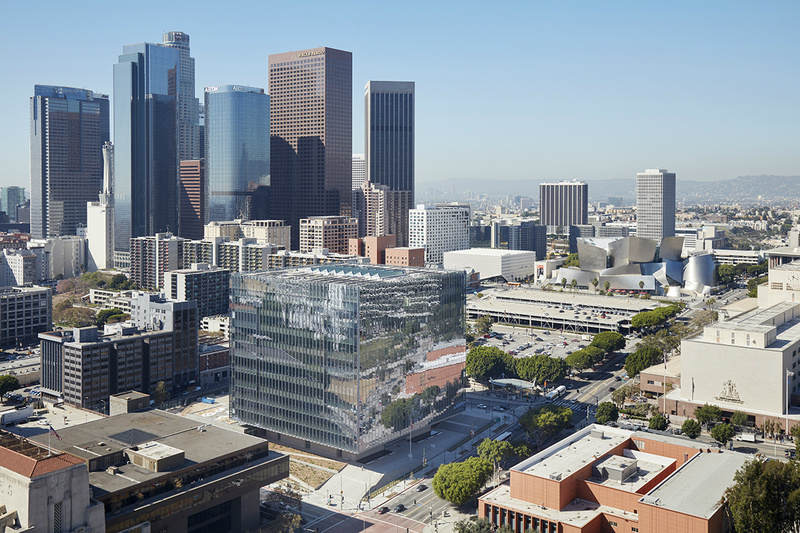 When awarding the project, PCBC judges issued the following statement: “With the number of mixed-use multifamily buildings going up in Los Angeles, it can be hard to stand out, but clever use of irregular, angular balconies and projecting windows set this mixed-use building on Wilshire Boulevard apart. The designers deployed these strategies across curved facades to ensure a unique experience in each of the 90 residential units, and to add visual interest to the streetscape, which is also enlivened by retail at the base. It will be an exciting project to see realized.” The project is being developed by NMS Properties and is expected to be completed in 2017. Completion of the first phase of the Purple Line extension is due to be completed in 2023.